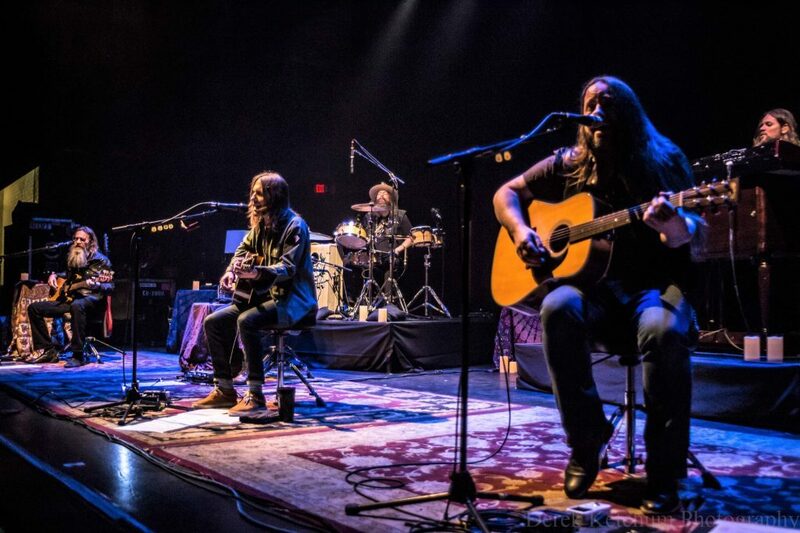 Saturday’s stripped-down concert by the Southern rock/country band at Kalamazoo State Theatre gave fans an intimate, memorable display of Blackberry Smoke’s endearing songs. 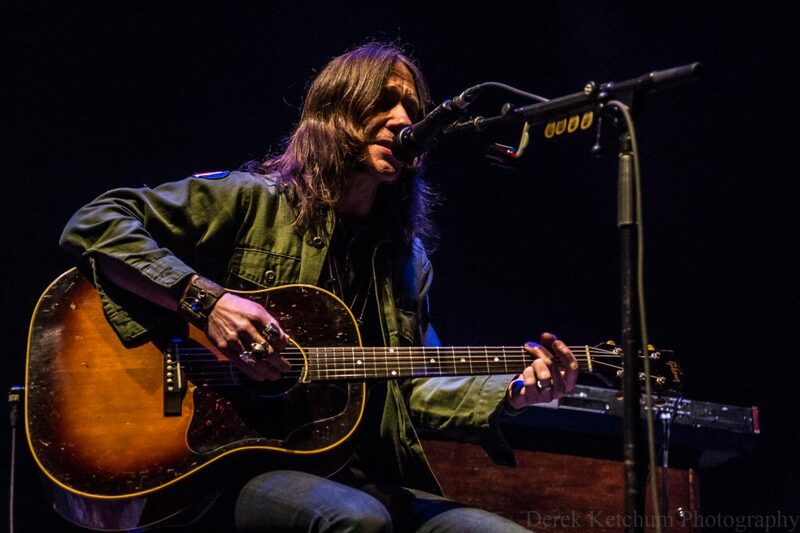 Review, photos. 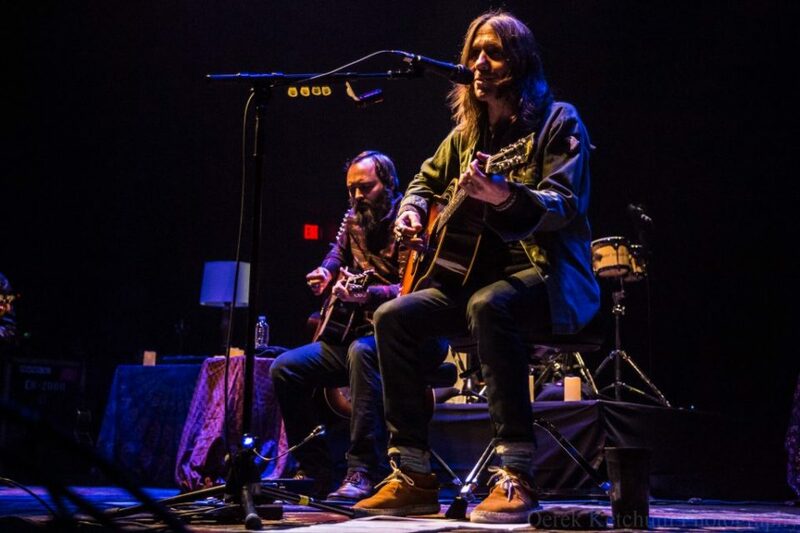 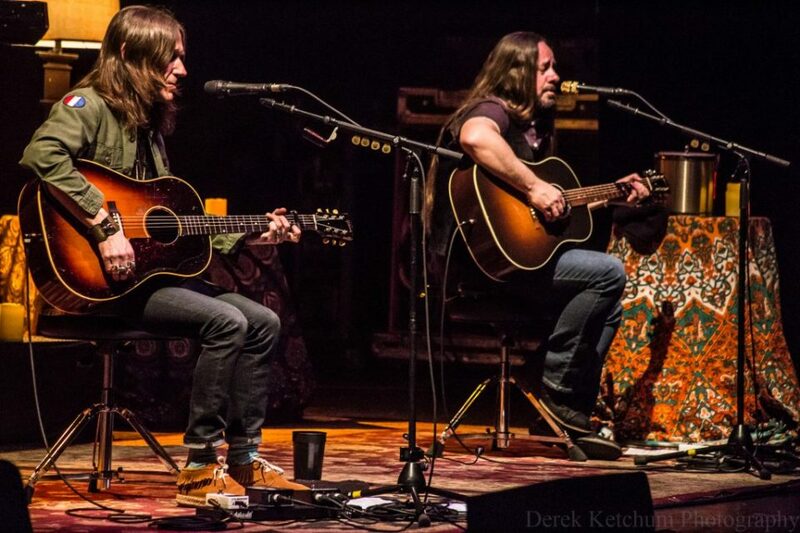 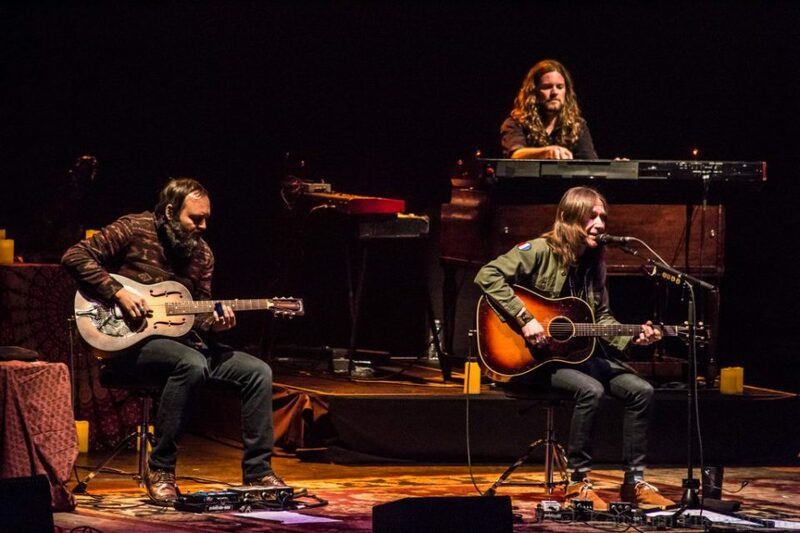 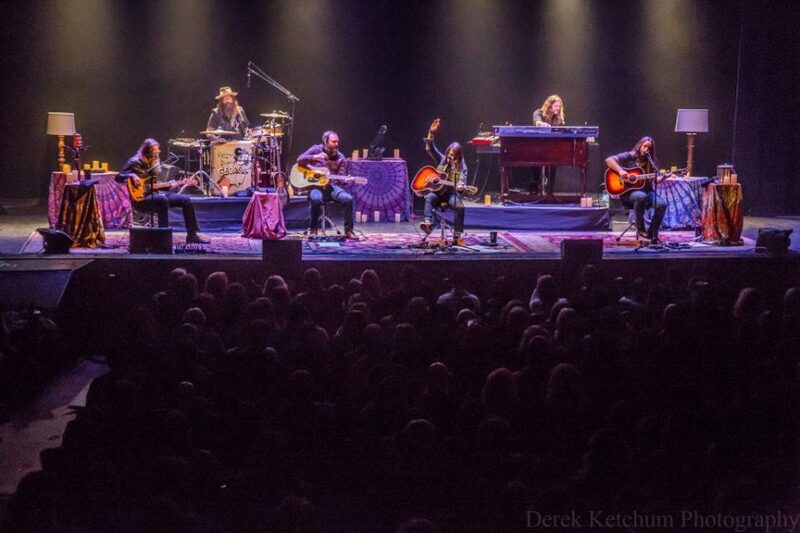 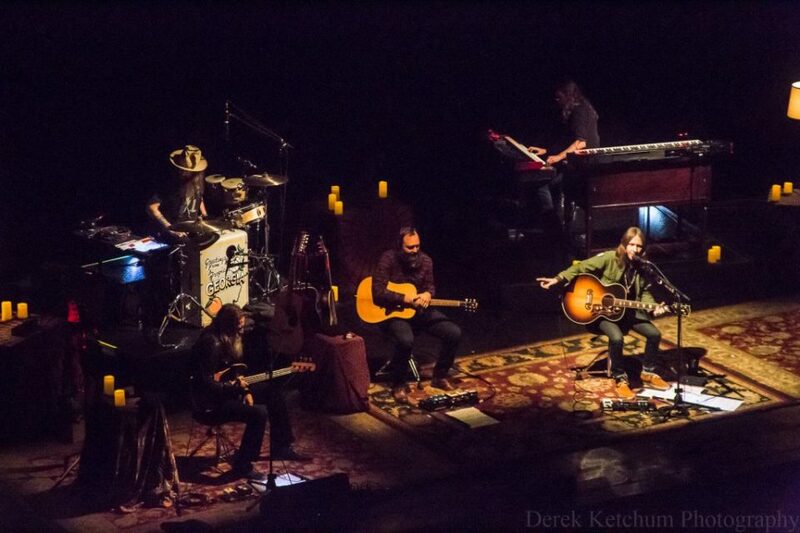 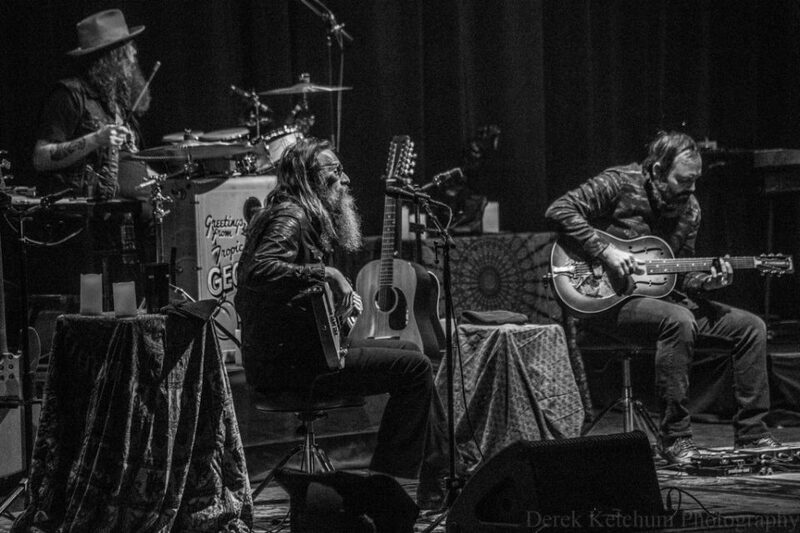 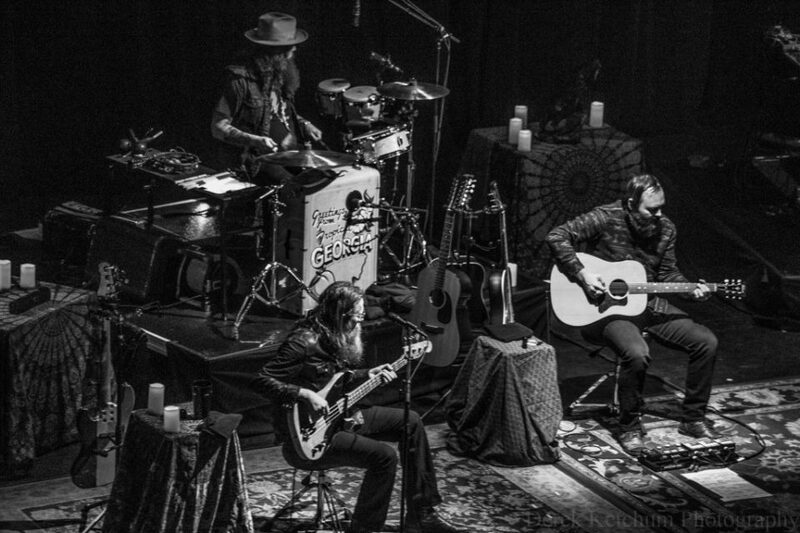 Stripped down and all acoustic this go-round, Blackberry Smoke undoubtedly came across as much more country than rock at Kalamazoo State Theatre Saturday night. But there was no mistaking the Southern rock undertones that have endeared many to the Atlanta quintet known for songs such as “One Horse Town,” “Pretty Little Lie” and “Ain’t Much Left of Me” over the past decade of a nearly two-decade career. 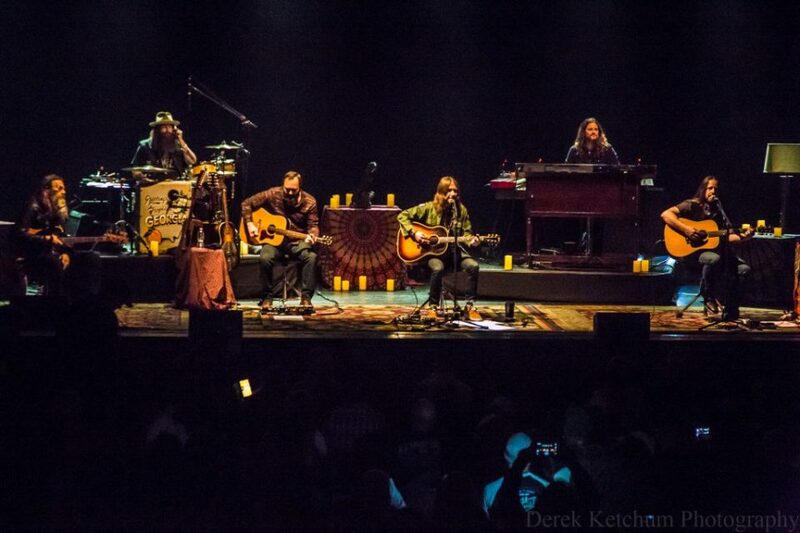 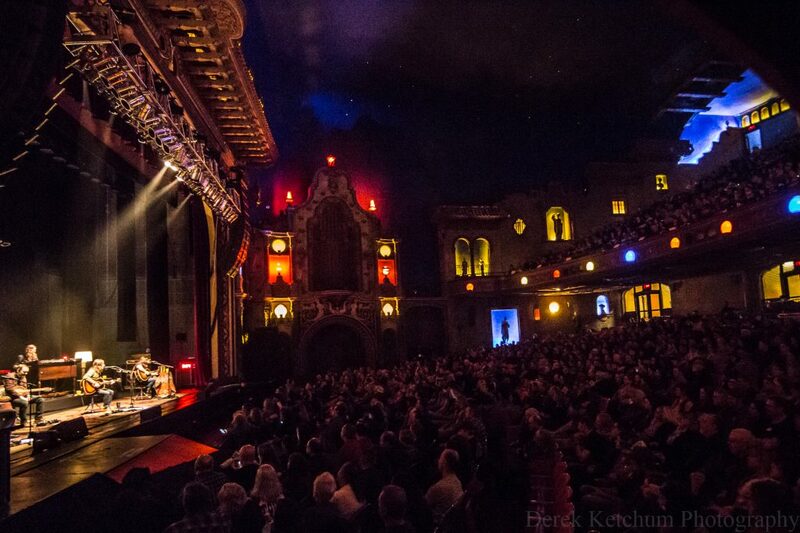 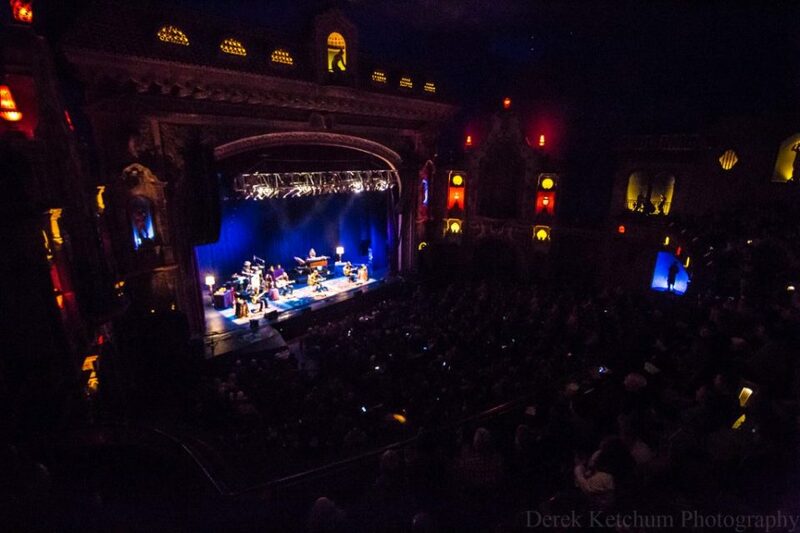 And while all of those tunes were played over the course of the band’s two-hour performance, it was the intimate setting in which they were performed that will be etched into the lasting memories of their fans, many of whom traveled to Kalamazoo from out of state. 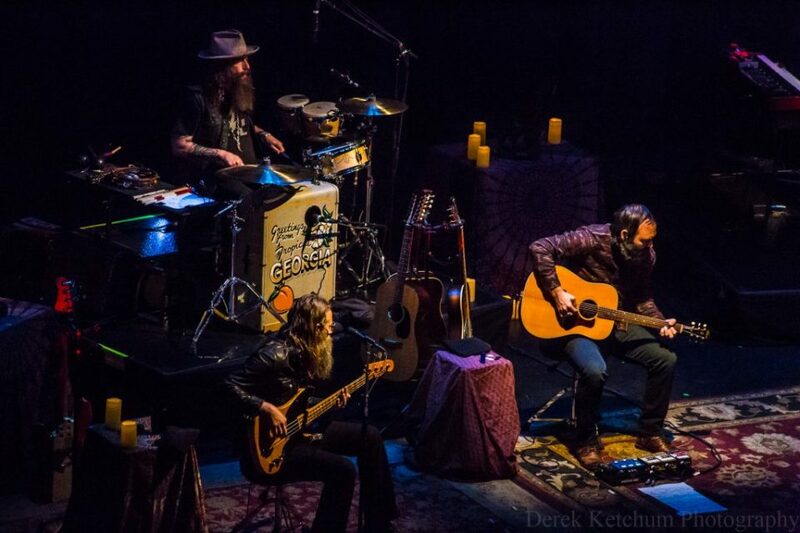 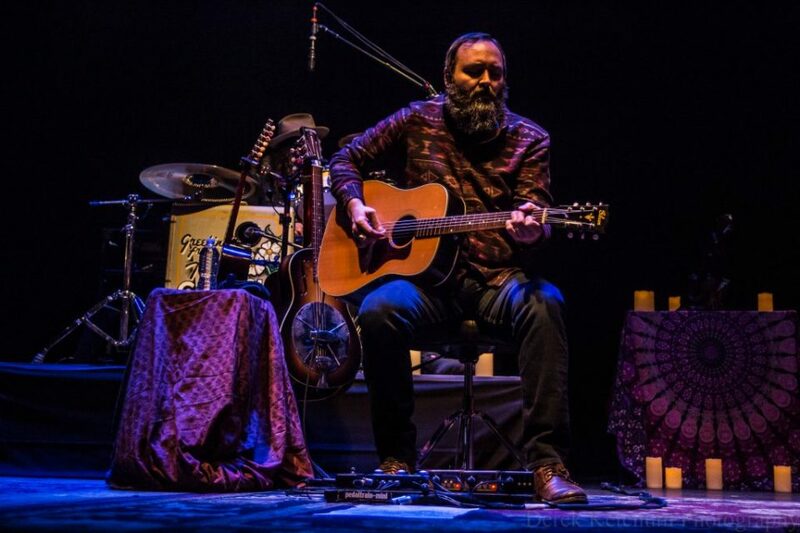 “Welcome to the living room,” said fast-picking front man Charlie Starr as the band took their seats on a stage set adorned by candles and book-ended by a pair of table lamps. 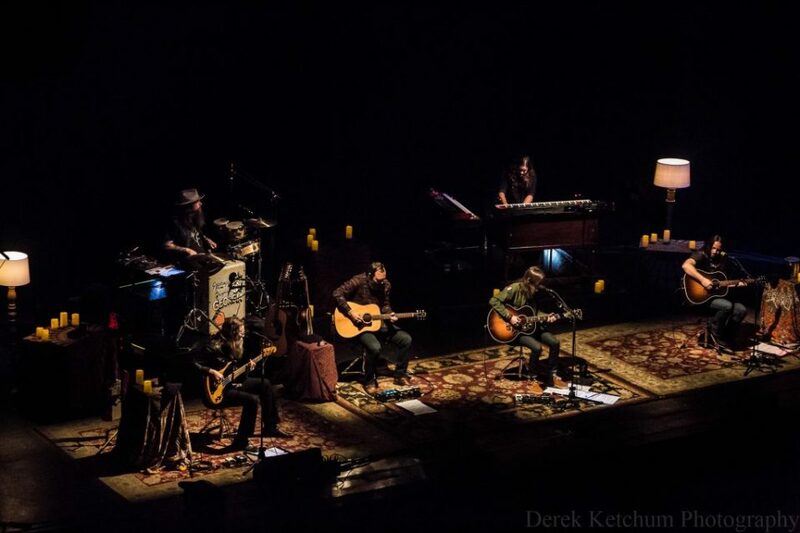 It made attendees feel at times that they were members of an MTV Unplugged live audience at some point in the mid-’90s. “The idea of this tour was to break it down for you,” Starr said as he shared stories of where many of the songs played came from — from “Too High” being written upstairs from a basement meth lab, to “Lesson in a Bottle” being pieced together after a two-day bender that followed up a gig at an empty Mermaid Lounge in New Orleans early on in the band’s career. 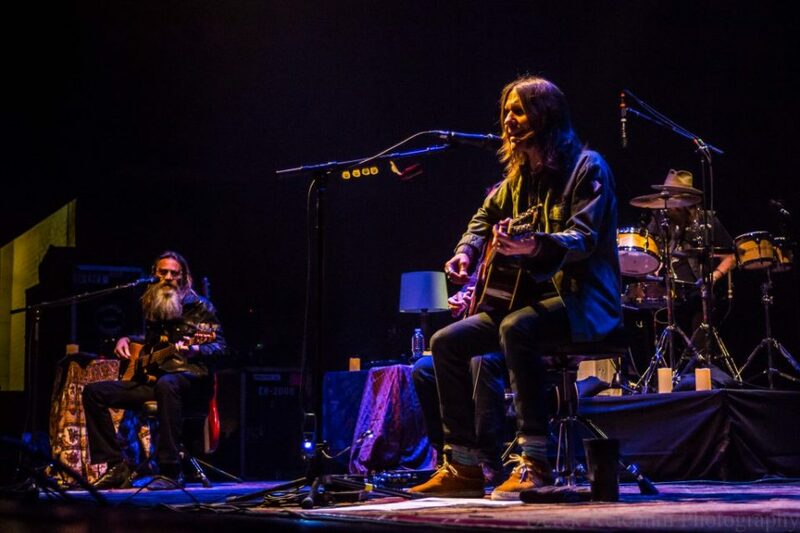 Over the course of the night, the band reached back for cuts such as 2003’s “Bad Luck Ain’t No Crime,” and 2008’s “Livin’ Hell.” They also treated the crowd to “Best Seat in the House,” “We Can Run Away from it All” and “Medicate My Mind” all off of which appear on 2018’s “The Southern Ground Sessions,” the stripped-down acoustic EP that inspired the band’s first ever all-acoustic tour. There were covers of The Rolling Stones’ “Sweet Virginia,” Led Zeppelin’s “That’s the Way,” Steve Earle’s “Copperhead Road” and even a pretty well-done stab at Ted Nugent’s “Cat Scratch Fever.” That came after Starr, who was playing an old Gibson at the time, expressed his appreciation for the Great Lakes State. 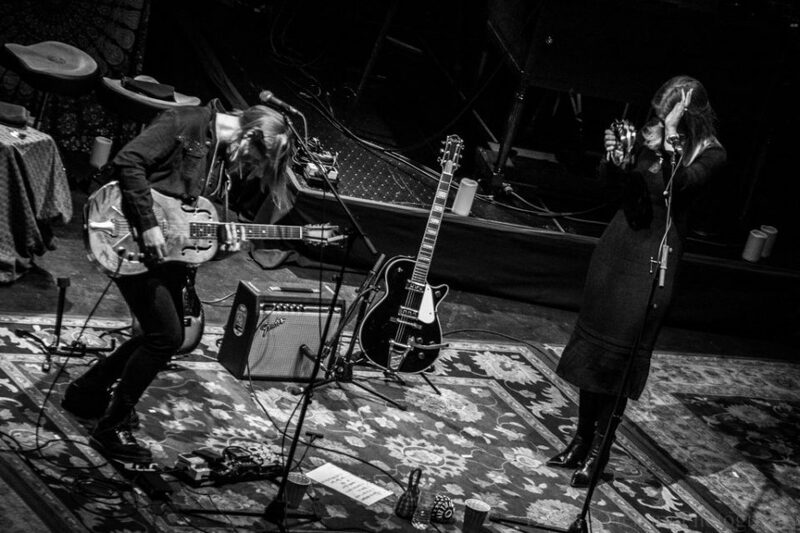 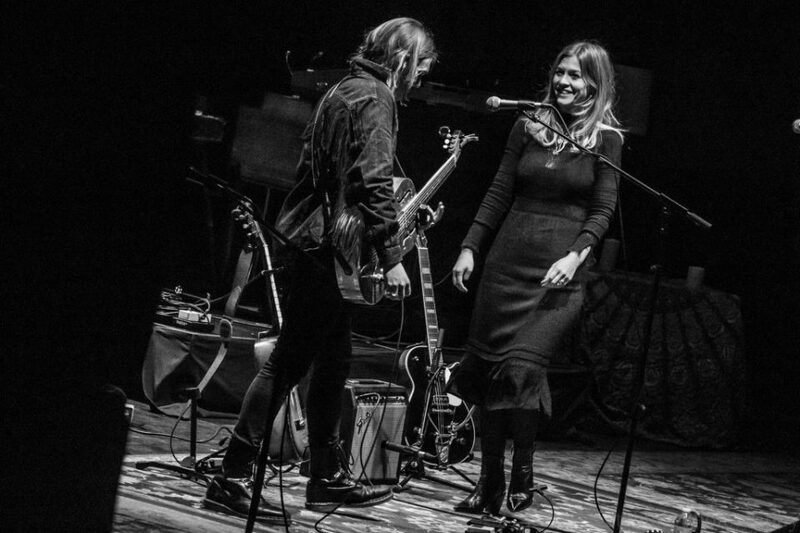 Opening the show was the husband-wife British grunge-blues duo Ida Mae which took a red-eye to the States following a gig in the United Kingdom earlier this week so they could make it to Kentucky in time for Thursday’s tour opener. “Being a British kid and falling in love with the blues doesn’t make any f**ing sense to me, but to be over here playing the blues in this beautiful venue is pretty amazing to me,” exclaimed Chris Turpin, who turned some heads with his delicate finger-picking and resonator slide guitar. 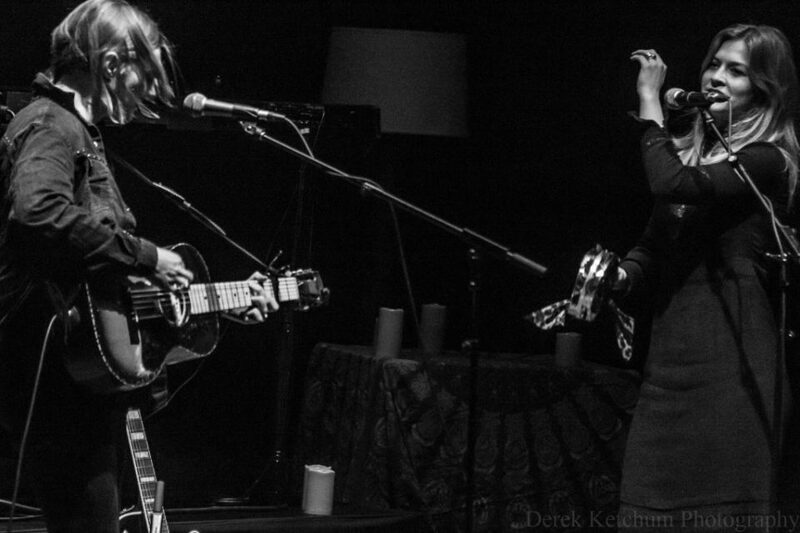 The duo, which now calls Nashville home, is set to release its debut album in June.